We have 90 Michigan-Based Technicians, Engineers and Installers are available to deliver and install AV equipment at your next Michigan convention. Audio Visual Equipment, Staging, Lighting, Sound, Video, Digital Signage, Computers, and even independent wireless connection to the internet. Located in the Great Lakes region of the United States, Michigan is the 11th largest state and the 8th most populated with over 10,000,000 residents. Michigan also has the longest freshwater shoreline of any political subdivision in the world. There are a total of 64,980 inland lakes and ponds and no person in the state is more than 6 miles away from a freshwater source at any time. 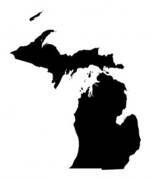 Michigan is also a major center for the automobile industry, producing more cars than any other state in the country. Whether you are visiting the state for recreation or business purposes, Michigan is such a great place to schedule your next conference, convention, or meeting. DeVos Place is a premier convention center that features a 162,000 square foot exhibit hall, 40,000 square foot ballroom and 26 individual meeting rooms. The center is also home to the Grand Rapids Symphony Orchestra, Grand Rapids Ballet Company, Opera Grand Rapids and Broadway Grand Rapids.